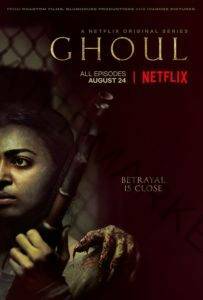 From the makers of Insidious, Get Out and Udta Punjab – Ghoul is a chilling series about a prisoner who arrives at a remote military interrogation centre and turns the tables on his interrogators, exposing their most shameful secrets. You can fight the demons of this world but what about the ones that aren’t? A Prisoner Arrives At A Remote Military Interrogation Centre And Turns The Tables On His Interrogators, Exposing Their Most Shameful Secrets. If you like what read about Ghoul, please remember to share Netflix New Releases on Facebook, Twitter or wherever you guys want it’s all appreciated.